Discussion in 'The Toyark' started by Crazymadman, Jul 22, 2010. Yay! 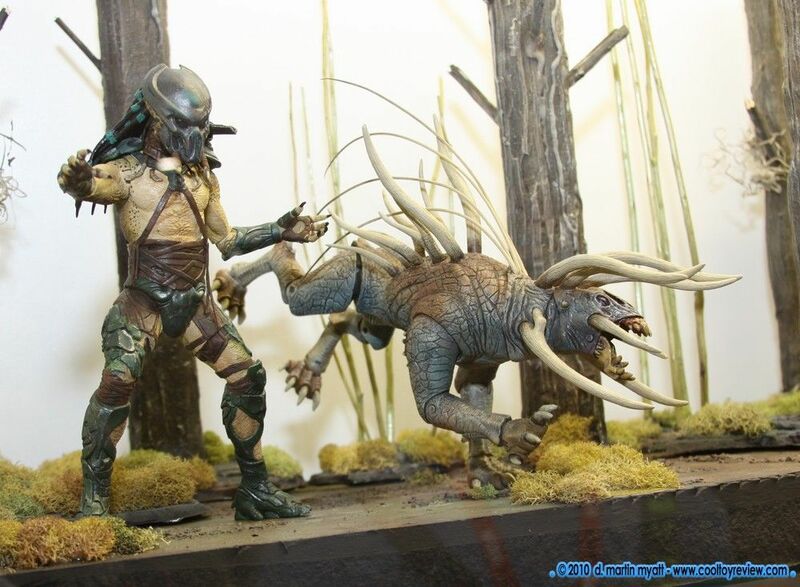 I found the new Predators figures at TRU yesterday, but couldn't find an existing Predator thread here & didn't want to crash Gog's Aliens thread, haha. Anyway, they're $14.99 each, so I only bought the Berserker. He's got great detail & sculpting (I love all the little bright red details,) but putting him in a stable action pose is a bit tricky due to his feet. 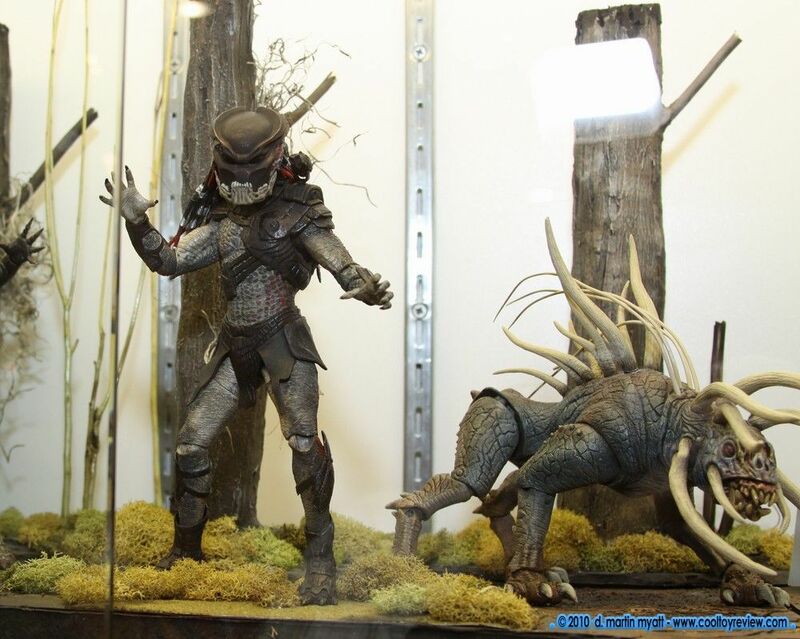 His boots are each one solid piece & can be rotated mid-shin, but there's no ankle articulation, so if you want both feet planted flat on the ground, you have to either have him in a straight standing position or a kinda bow-legged one. He also has his shoulder cannon, which pivots up & down, and his wrist blade, which is pretty short & is held in place by a twist tie & doesn't really stay in place one you remove it. 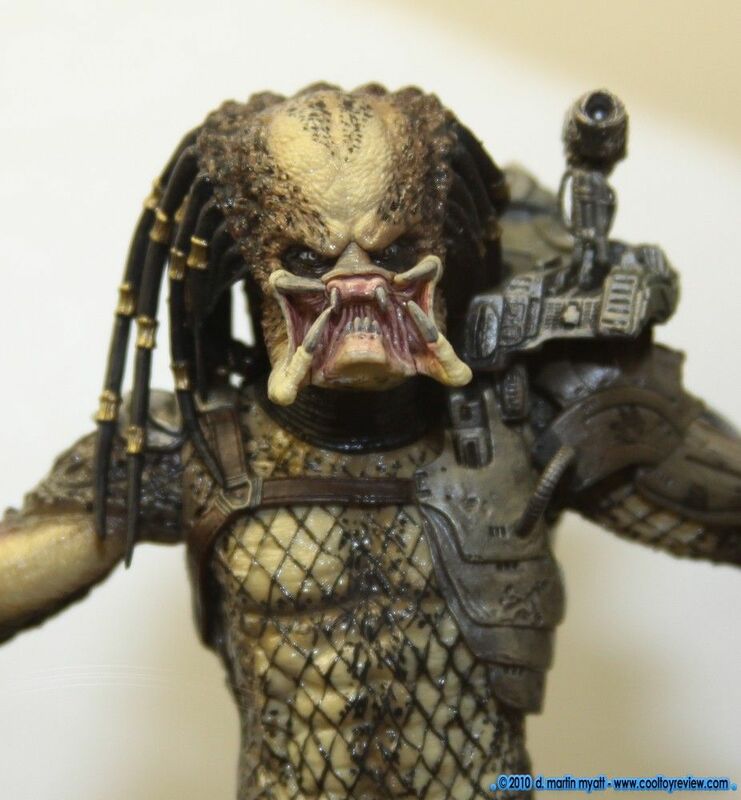 The helmet's awesome with the bone jaw attached, most of his dreds are individually sculpted, and his armor is made of soft pvc, so it doesn't hinder poseability at all. 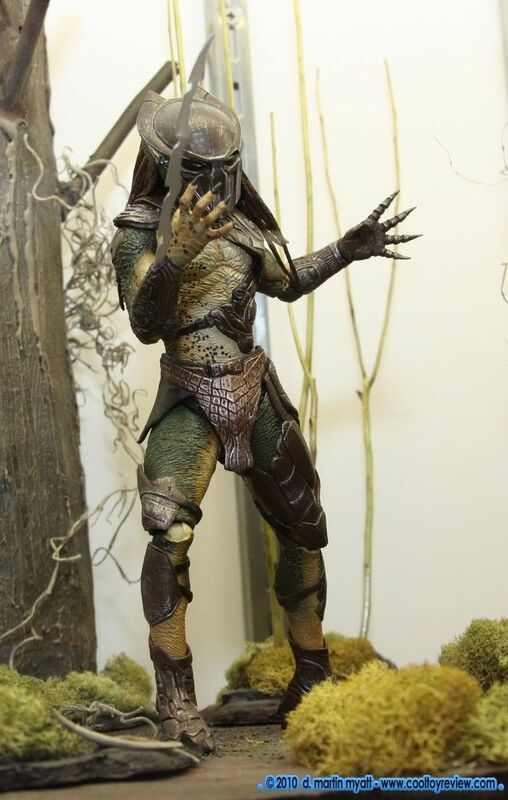 Overall, a really good Predator figure, with just the ankles as a small setback. I'll probably pick up the Falconer with my next TRU $5 coupon. 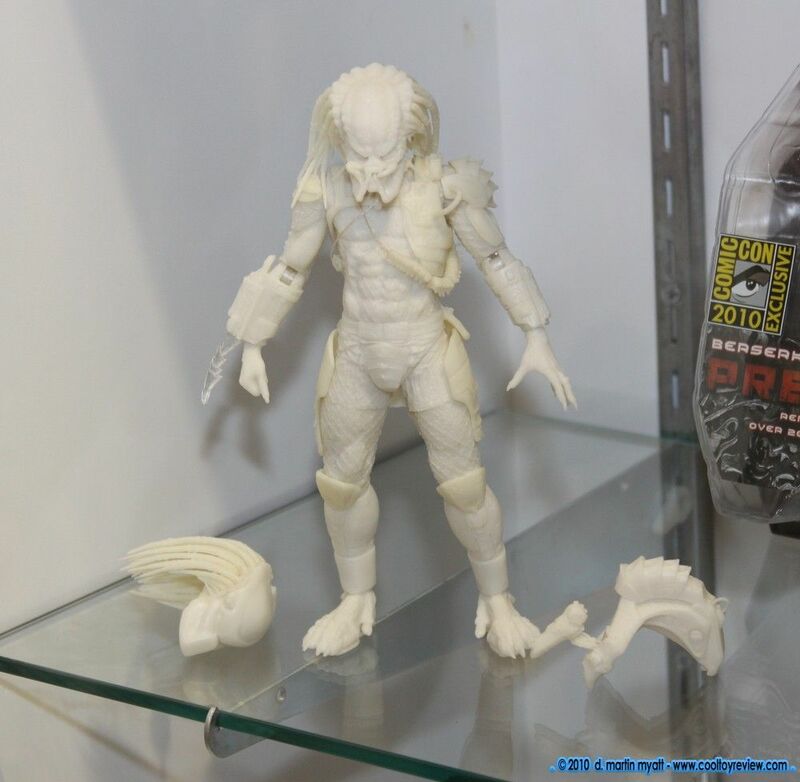 Q: full body pics will be great, what is the unpainted predator i can see in this pic !? 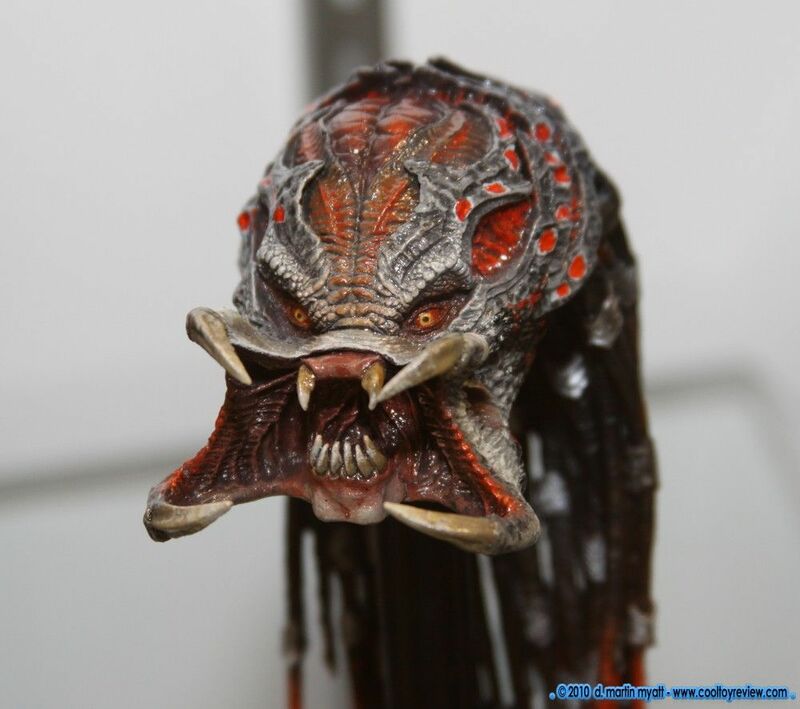 a new predator ? 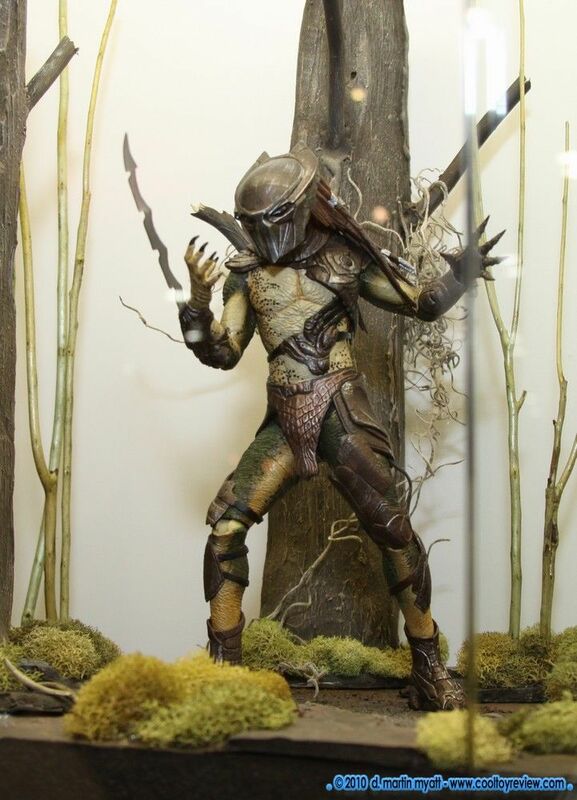 Q: @Neca_Toys Is that berserker pred painted to blend into the trees? If not,I might just have a heart attack. 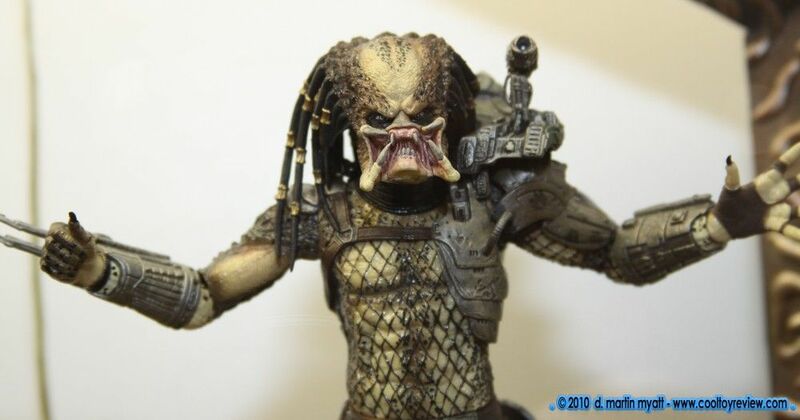 A: @CaptainComicB he is, Camo Stealth. 2011 & a fresh spin on Stealth & Cloaking. 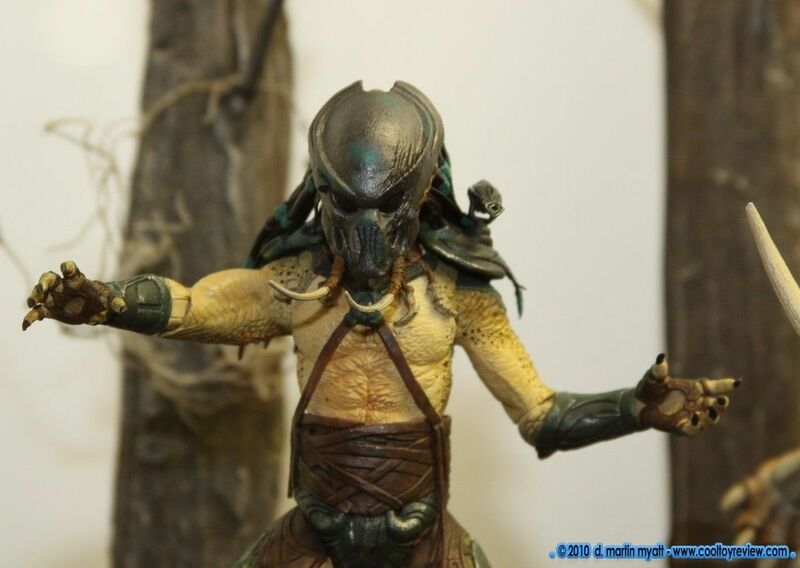 So the cloaked Berserker on the pic from my first edit is a camo stealth Berserker Predator. 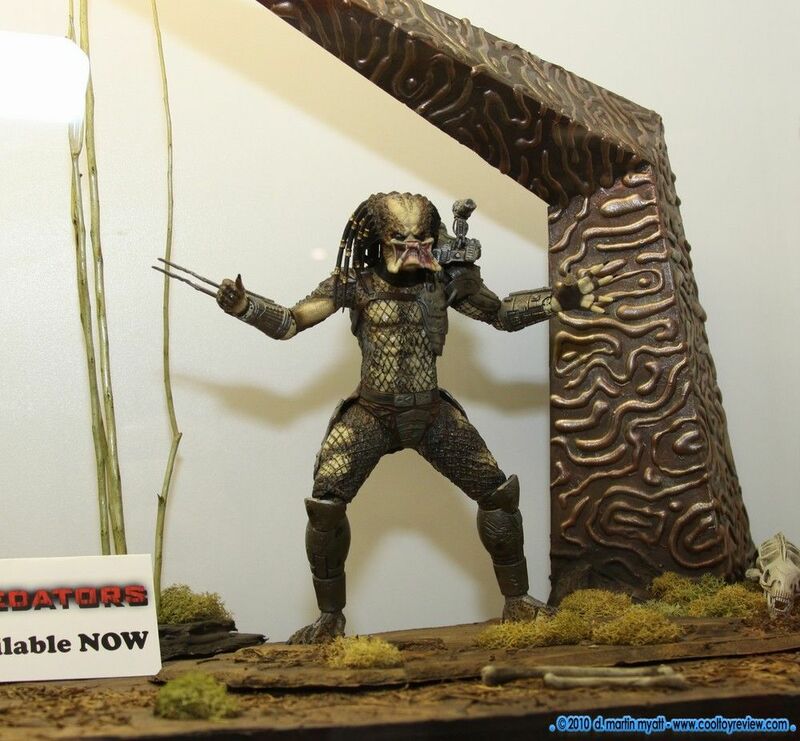 Q: @NECA_TOYS this camo stealth predator sounds very interesting but im not sure how it works ? could you explain in further detail maybe ? 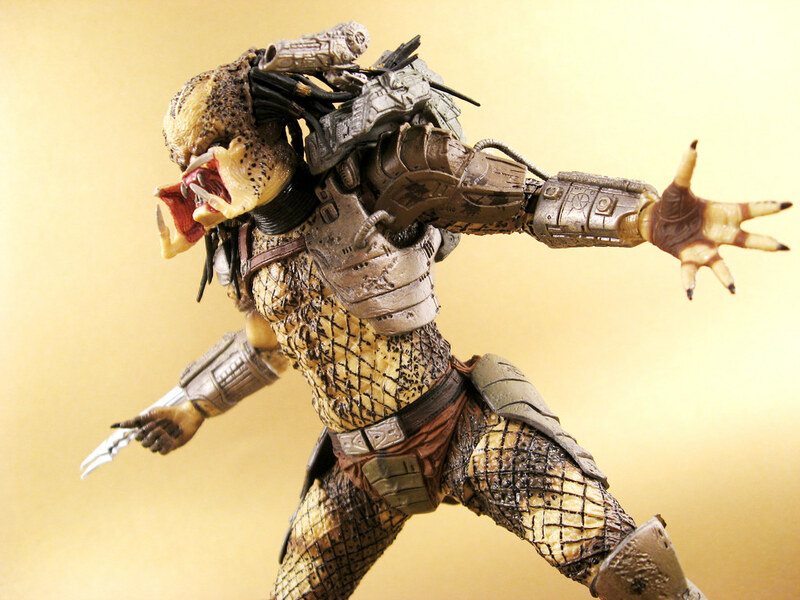 A: @savagepunisher too hard in 140 on twitter. Will explain at show to the press & media. Details to follow. 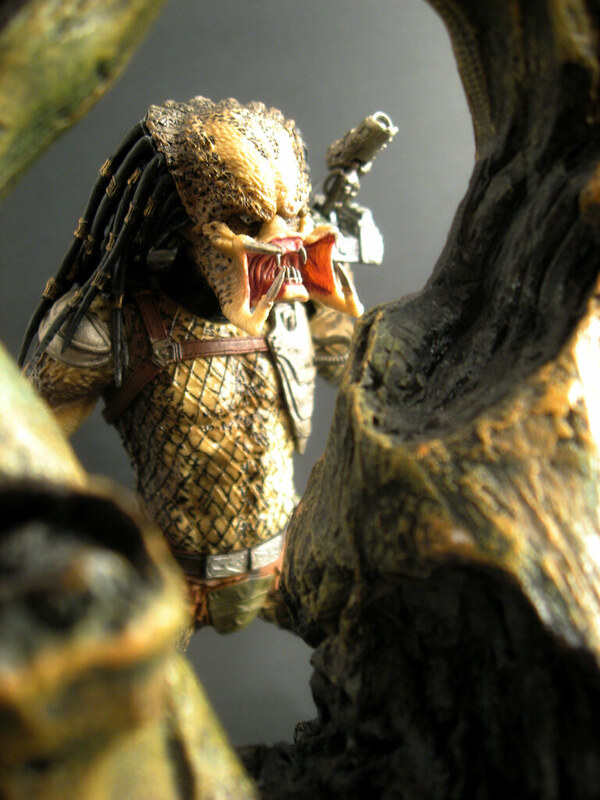 Q: @NECA_TOYS So will you be making a camo stealth P1 Predator? 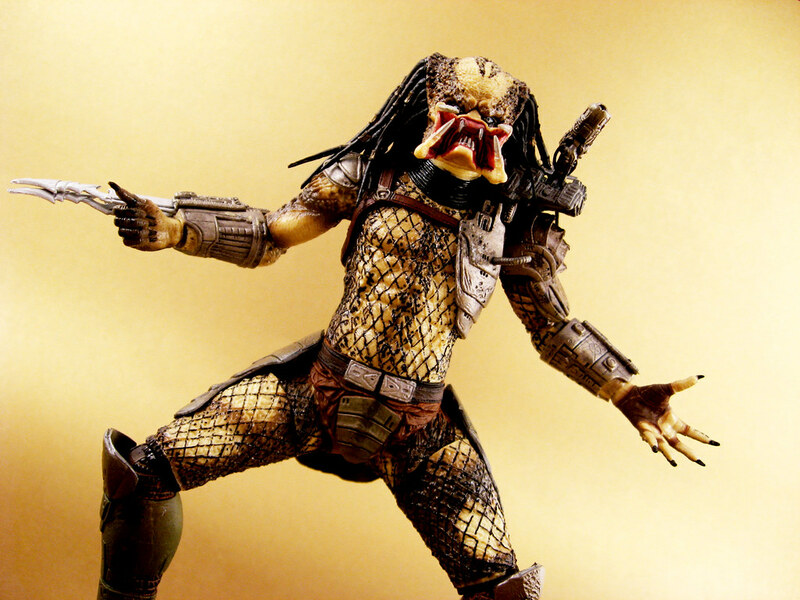 A: @WarriorAlien for now just Berserker from Predators. 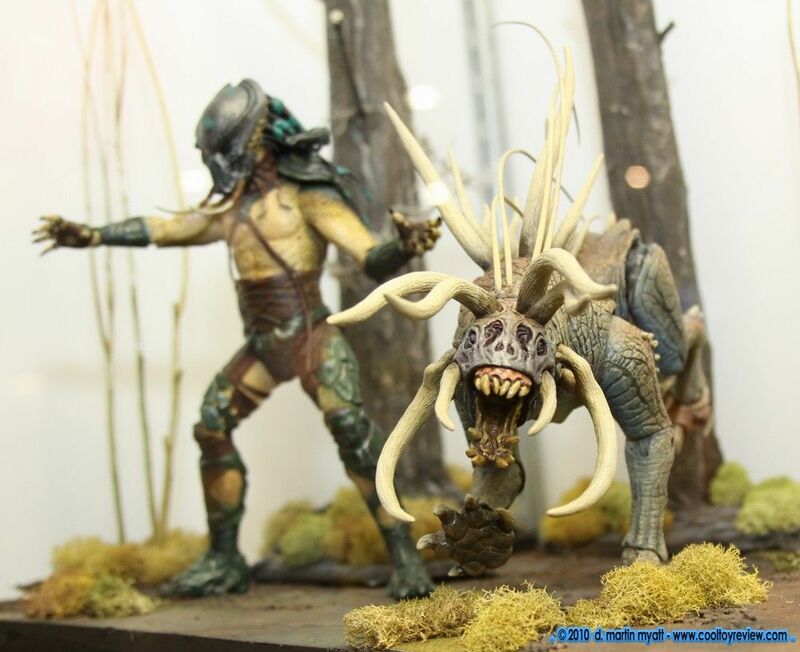 This is a new action figure 2-pack featuring the classic look of Alien and Predator characters. Man, those pictures are awesome! 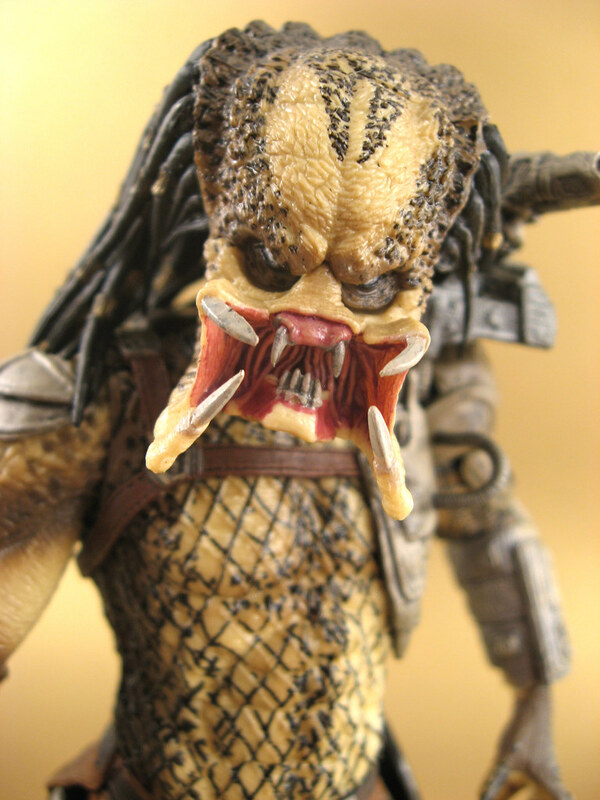 Just got the classic predator. Wish it had the alternate head like the photos above, but still a freaking amazing figure. 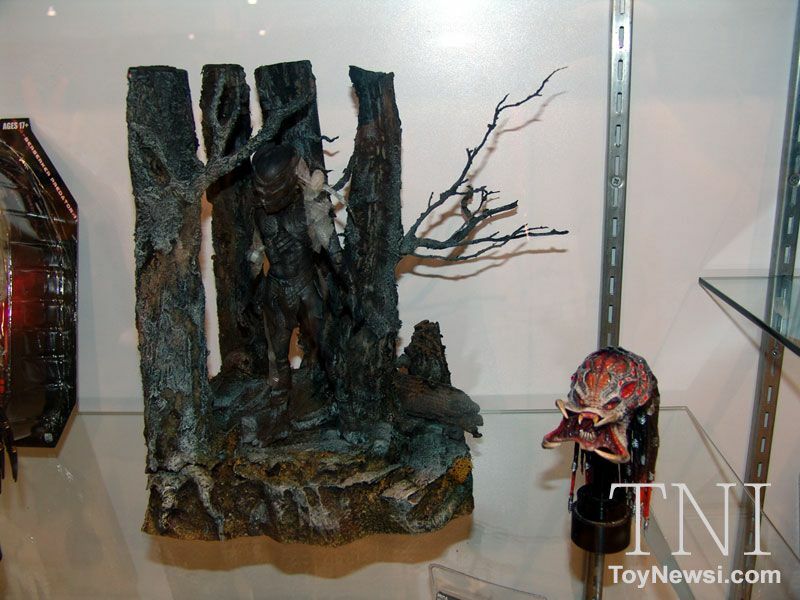 Does anyone know when the 2010 SDCC figures are shipping? I ordered unmasked Eleanor from there and they gave me a notice that they don't have stock or something, any ideas? Yes, the turtles are most excellent. They are indeed. 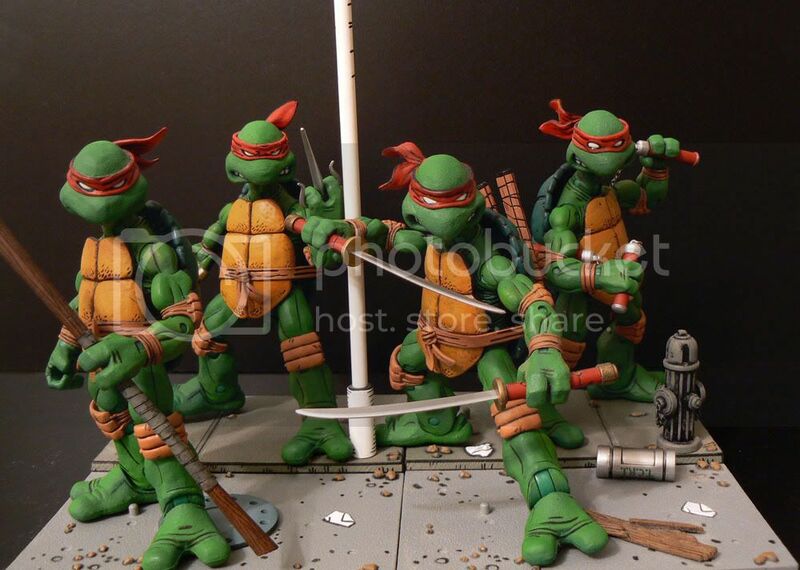 However, I was only able to get Donatello, since he is my favorite, and it would have been out of my budget to get all 4 when they were still available. By "available", I mean in stores. 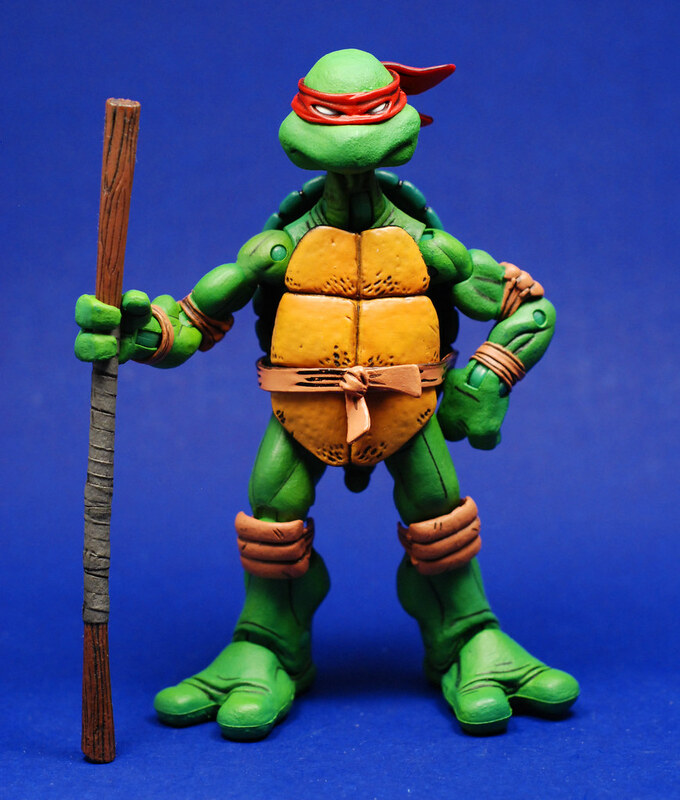 I bought Donatello at FYE, the only store in town that carried the NECA Turtles. They were only there for a short while. And since the majority of my TMNT collection consists of Donatellos, I was fine with having only him. 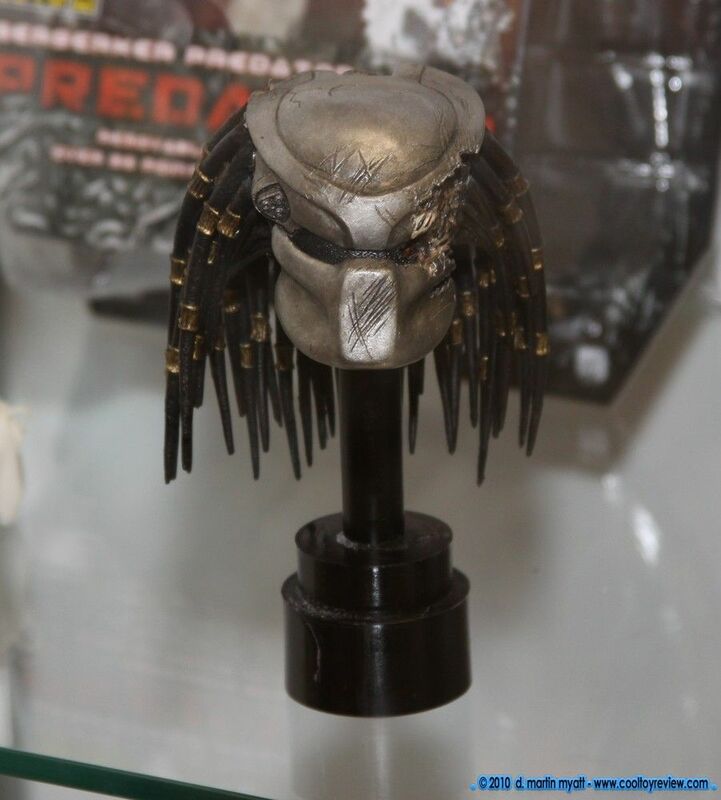 Looks like wave 2 of the Predators figures is set. 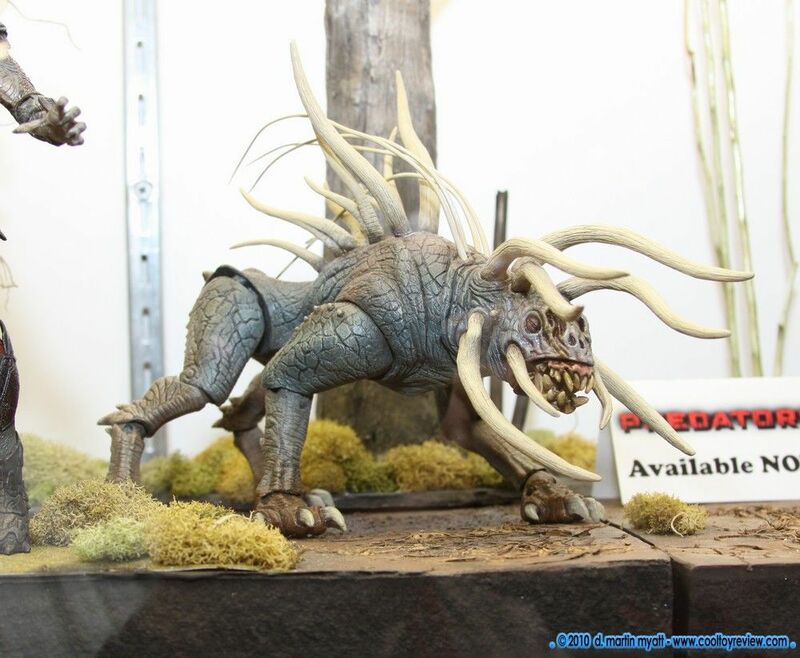 really lame you have to buy two figures to get a swapable head..
these things have AMAZING SCULPTS!!!! A little paint and they are perfect.. 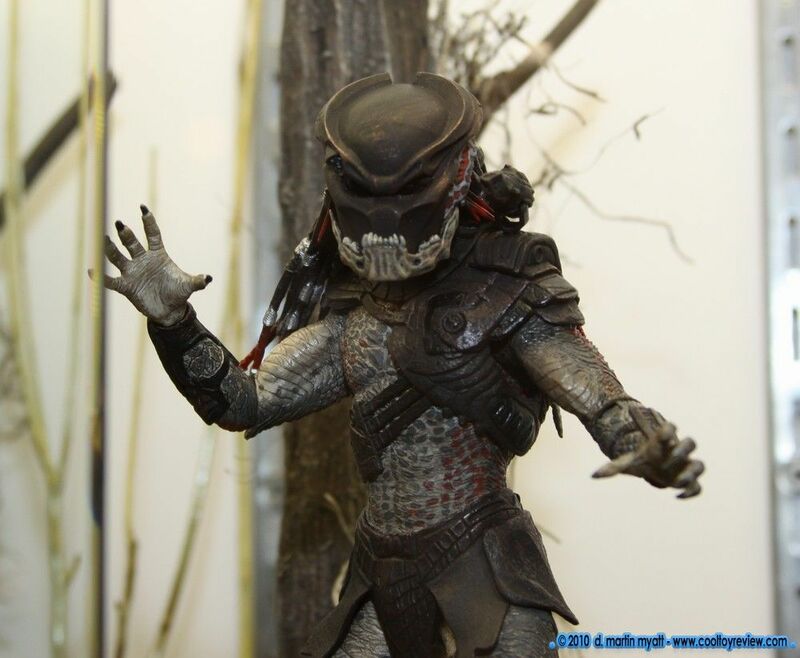 I think NECA has really stepped up in their game...and the TOY WORLD...The detail put into these figures are stunning!! All series..
^ they look so damn awesome! Do you guys really want the bird? I am surprised by this since he has all of 5 secs on screen but if you guys really want a bird we'll try to make it happen"
"@Randy7027 sorry but the only human I'm into doing as a figure is Dutch if we get the rights." Damn, that looks pretty nice!